Boycott and divestment are essential tools for activists around the globe. Today’s organizers target museums, universities, corporations, and governments to curtail unethical sources of profit, discriminatory practices, or human rights violations. They leverage cultural production – and challenge its institutional supports – helping transform situations in the name of social justice. The refusal to participate in an oppressive system has long been one of the most powerful weapons in the organizer’s arsenal. Since the days of the 19th century Irish land wars, when Irish tenant farmers defied the actions of Captain Charles Boycott and English landlords, “boycott” has been a method that’s shown its effectiveness time and again. In the 20th century, it notably played central roles in the liberation of India and South Africa and the struggle for civil rights in the U.S.: the 1955 Montgomery bus boycott is generally seen as a turning point in the movement against segregation. Assuming Boycott is the essential reader for today’s creative leaders and cultural practitioners, including original contributions by artists, scholars, activists, critics, curators and writers who examine the historical precedent of South Africa; the current cultural boycott of Israel; freedom of speech and self-censorship; and long-distance activism. Far from withdrawal or cynicism, boycott emerges as a productive tool of creative and productive engagement. Including essays by Nasser Abourahme, Ariella Azoulay, Tania Bruguera, Noura Erakat, Kareem Estefan, Mariam Ghani with Haig Aivazian, Nathan Gray and Ahmet Öğüt, Chelsea Haines, Sean Jacobs, Yazan Khalili, Carin Kuoni and Laura Raicovich, Svetlana Mintcheva, Naeem Mohaiemen, Hlonipha Mokoena, John Peffer, Joshua Simon, Ann Laura Stoler, Radhika Subramaniam, Eyal Weizman and Kareem Estefan, and Frank B. Wilderson III. Cover art by Josh MacPhee. Photograph © Josh Cender. 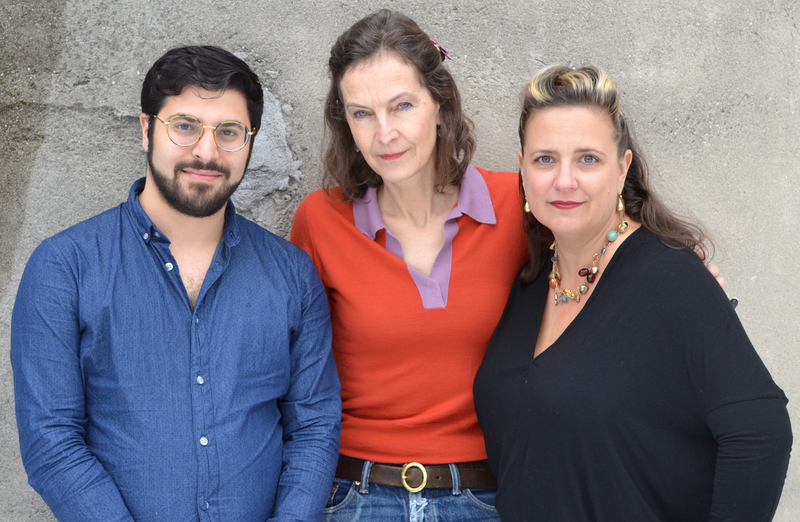 L to R: Estefan, Kuoni, Raicovich. Carin Kuoni is a curator and editor whose work examines how contemporary artistic practices reflect and inform social, political and cultural conditions. She is Director/Curator of the Vera List Center for Art and Politics at The New School and teaches there. A founding member of the artists’ collective REPOhistory, Kuoni has curated and co-curated numerous transdisciplinary exhibitions, and edited and co-edited several books, among them Energy Plan for the Western Man: Joseph Beuys in America; Words of Wisdom: A Curator’s Vademecum; Speculation, Now; and Entry Points: The Vera List Center Field Guide on Art and Social Justice. She is the recipient of a 2014 Andy Warhol Foundation Curatorial Fellowship, directed “SITAC XII: Arte, justamente” in Mexico City in 2015, and is a Travel Companion for the 57th Carnegie International in 2018. Laura Raicovich is President and Executive Director of The Queens Museum of the City of New York. A champion of socially engaged art practices that address the most pressing social, political, and ecological issues of our times, she has defined her career with artist-driven projects and programs. Recent projects at the Queens Museum include “Mierle Laderman Ukeles: Maintenance Art”; “William Gropper: Bearing Witness”; “Mickalene Thomas: Untitled”; “Mariam Ghani: Garden of Forked Tongues”; “Duke Riley: That’s What She Said”; “Hey! Ho! Let’s Go: Ramones and the Birth of Punk,” as well as a series of programs designed with Rebecca Solnit and Joshua Jelly Shapiro to launch their “Nonstop Metropolis: A New York City Atlas.” She lectures internationally, has contributed regularly to The Brooklyn Rail, and is the author of A Diary of Mysterious Difficulties and At the Lightning Field. Boycott is a tool of our time, a political and cultural strategy that has rarely been more prominent than now. Examples abound of contemporary artists holding institutions accountable for the ethical standards enacted in them. 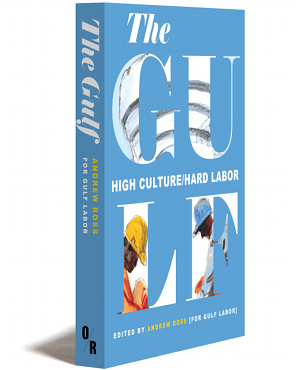 By addressing labor issues in the United Arab Emirates, the funding structures and political entanglements of biennials from Sydney and Saint Petersburg to São Paulo and New York, and calls to join a cultural boycott of Israel, artists are leveraging their power to shift the ways culture is produced on individual, civic, institutional, and educational levels. Indeed, art institutions and universities, cities, and entire countries have been affected by positions that pose as “withdrawal” or “disengagement” and in fact often result in various actions and pointed engagement around specific ethical questions. In our roles as cultural producers, we recognized implementation of boycott as a distinctly political tactic, one that generated a parallel uptick in calls for accountability in artistic endeavors. In 2014 we began planning a series of seminars and programs at the Vera List Center for Art and Politics at The New School to engage students, artists, thinkers, and general audiences in a deep consideration of the multiple trajectories of these particular contemporary conditions in which we are all implicated. Presented under the Vera List Center’s curatorial focus theme Alignment, the resulting seminars and the many conversations that they spurred, as well as the culminating colloquium that took place in the spring of 2015, revealed an extensive world of ideas we felt required a publication. Fortunately, the publisher of this volume, OR Books, agreed. 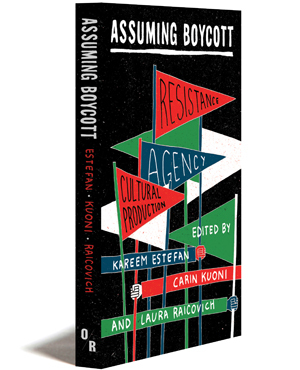 This book is the result of an ongoing effort to contend with the meanings of boycott and withdrawal as significant cultural practices of our time. 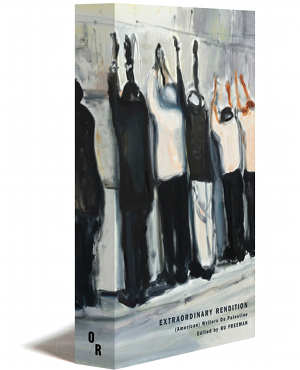 It focuses on key texts developed during specific campaigns as well as essays retrospectively reflecting on and synthesizing the often heated debates that accompanied particular acts of boycotts or refusal. In so doing, we hope this book not only reveals in-the-moment realities, but also tracks shifts in language and implementation of principles over the course of debate and dialogue. Above all, this gathering of texts seeks to explore how strategies, alliances, lead actors, and guidelines have responded and adapted to a changing cultural, political, and economic environment. The seminars, and now this publication, center the notion that cultural production opens avenues for new ways of thinking. How productive or conducive can the methods of withdrawal and boycott be for politically oriented artistic practices? What are the conditions under which decisions on forms of engagement are made? How does distance, physical, experiential, or intellectual, impact artists’ engagement or disengagement? How effective are these strategies and what are the long-term impacts? What are the significant historical referents for this kind of work? What is the relationship between boycott, censorship, self-censorship, and freedom of expression? And how do these practices shape an entire field, regardless of whether one endorses a boycott or not? To address these inquiries, the essays are grouped in four interconnected sections: an exploration of the cultural boycott of South Africa during the apartheid regime; a deep dive into the call for a cultural and academic boycott of Israel from Palestinian civil society; multiple discussions of who speaks (for whom) and who is silenced in the debates and campaigns surrounding contemporary boycotts; and finally, an assessment of the meanings and realities of engagement and disengagement from afar in a period of proliferating biennials and global cultural events. The texts have grown out of papers and discussions delivered at the seminars and the colloquium, augmented by key texts reprinted for their special relevance to these topics. The authors, who are artists, scholars, curators, and activists, each consider the ways in which withdrawal and boycott have impacted the conditions for engaged discourse and/or art making. Taken together, the essays shed light on boycotts as cultural work and unpack their motivations (why a boycott), practices (how a boycott), and consequences (what effects does a boycott create)…. III. Who Speaks? Who Is Silenced?